In this demo, we will generate a REST/CXF application with spring/jpa2 backend. This demo presents the track REST-CXF of minuteproject. The model from demo 2 remains the same. The enrichment stays the same. The JPA2 entities are annotated by JAXB annotations. All this is done to provide a CRUD interface on top of the model entities. It is possible to enrich each link of the many-to-many relationship table (ex: language_x_translator and language_x_speaker) to provide the other side relationship with an alias and thus avoid long composite variable name. JPA2 layer has been visited in Demo 1 and Demo 2. CRUD DAO layer on top of JPA2: This layer is called BSLA (Basic Spring Layer Architecture). 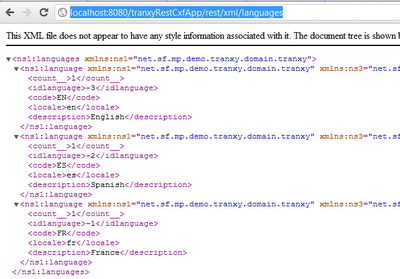 * Updates a Translation entity with only the attributes set into Translation. * The primary keys are to be set for this method to operate. * Remark: The primary keys cannot be update by this methods, nor are the attributes that must be set to null. * Affect the first translation retrieved corresponding to the translation criteria. * Blank criteria are mapped to null. * If no criteria is found, null is returned. * Assign the first translation retrieved corresponding to the translation criteria. * If there is no translation corresponding in the database. Then translation is inserted and returned with its primary key(s). * Assign the first translation retrieved corresponding to the mask criteria. * If there is no translation corresponding in the database. * Then translation is inserted and returned with its primary key(s). TranslationJPAImpl and TranslationJPAExtImpl (code not copied). In the future Generic DAO will be used for cross-entity redundant aspects. But wait a minute... How can I unit test? You need two other artifacts before writting your own test. Again? Yes, with a embedded connection pool, because the shipped with the build of your JPA2 layer may refere a JNDI Datasource (in case the property environment is set to remote). Since it is under /src/test/resources/META-INF it will override the one in the JPA2 package. 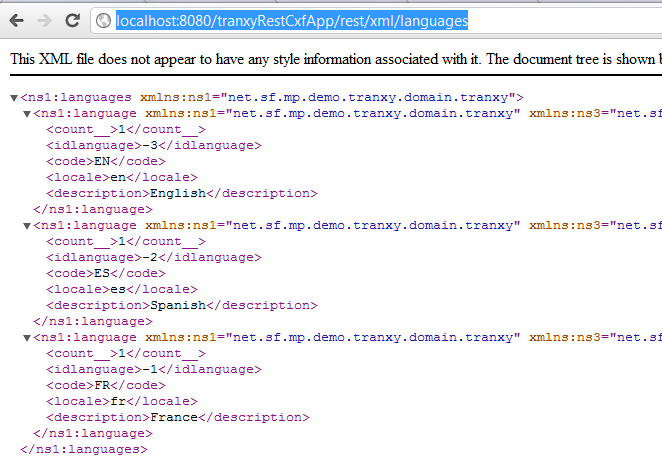 Each entity have a Rest Resource artifact with JAX-RS annotations to enable CRUD access. There is an embedded connection pool, so no configuration is needed on tomcat. 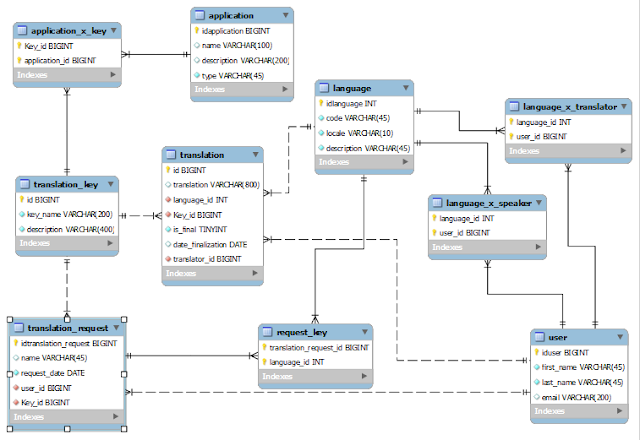 This article presented you how to get quickly a CRUD REST interface on top of your DB model. Of course, you may not need CRUD for all entities and may you need more coarse grain functions to manipulate your model. Next article will present you how with Statement Driven Development we can get closer to Use Case.